Every year, thousands of American workers die on the job. In 2016, the figure stood at 5,190. This represented a 7 percent increase over 2015 when only 4,836 fatal injuries were reported in the United States. With such grim numbers as a constant reminder of the dangers many workers face, impacted industries, especially the construction industry, continue to look for solutions. One surprising solution is the development of serious games that make safety training increasingly accessible to any worker with a mobile phone. Among Simcoach Games’ offerings are career discovery, career exploration, and career skill development games. While the former two categories of games focus on introducing people to potential careers, the latter category of games is designed to identify and enhance workers’ skills. 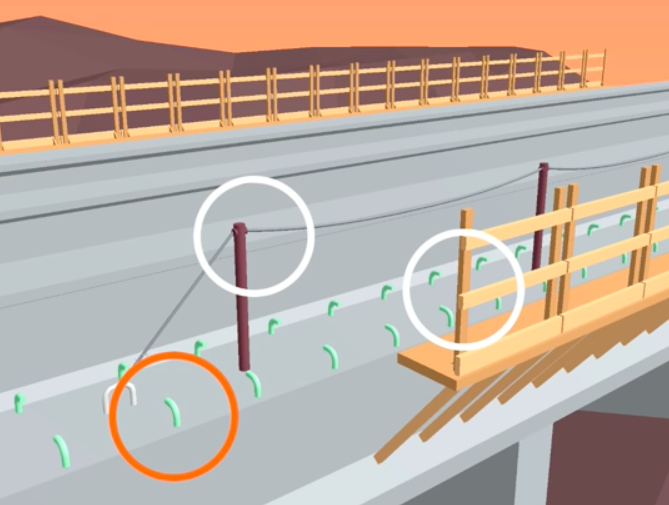 In 2016, the company’s released two career skill development games specifically designed to offer fall-prevention training: Harness Hero and Harness Hero: Bridge Edition. Simcoach Games’s decision to focus on fall prevention was by no means a coincidence. While transportation accidents remain a leading cause of death on the job, according to the Bureau of Labor Statistics, falls, slips, and trips are also part of the current increase in job-related fatalities. In fact, according to the Bureau of Labor Statistics, in 2016, fatal work injuries caused from falls, slips, or trips increased 25 percent for roofers, carpenters, tree trimmers and pruners, and heavy truck and tractor-trailer truck drivers. Industry experts consistently conclude that most work-related falls, including those that result in serious injury or death, could have been prevented. When falls happen, negligence (e.g., an employer failing to provide proper equipment or forcing workers to keep working in unsafe conditions) or lack of safety training are nearly always the key culprits. The mission of Harness Hero is to help employers and their work teams develop the knowledge needed to properly prevent falls on the job. Harness Hero, which can be easily downloaded for free on any smart phone, asks players to makes a series of choices about where and how to anchor, what anchorage device to use in what context, how to set up a harness, and what connection device to ensure their anchor will remain secure. In addition, players are asked to expect their safety equipment to ensure it in functioning condition. At the end of each game, the player encounters a fall. Depending on whether or not they are properly prepared, the player will witness a rescue, severe injury and in some cases, even a fatality. In this sense, Harness Hero is as serious as serious games get. But Harness Hero also has a companion: Harness Hero: Bridge Edition. Bridge building poses specific risks to builders. In fact, many of the nation’s most heavily used bridges were built at a great human cost. Over 30 workers fell while building the Golden Gate Bridge in San Francisco, and the construction of New York City’s Brooklyn Bridge resulted in at least twenty deaths. Harness Hero’s Bridge Edition is designed to offer bridge builders access to the specific training needed to avoid falls–and as a result, serious injuries and fatalities–on the job. While serious games may not be capable of entirely preventing falls on the job, Simcoach Games’ free and easily accessible work-related games have already put safety training resources into thousands of workers’ hands.